You could read two months ago that a new SRM crankset based on FSA carbon cranks was available or was going to be available. It just weighted 880gr against 910gr for the model based upon Dura-ace 7800 cranks and 956gr for the classic SRM model. 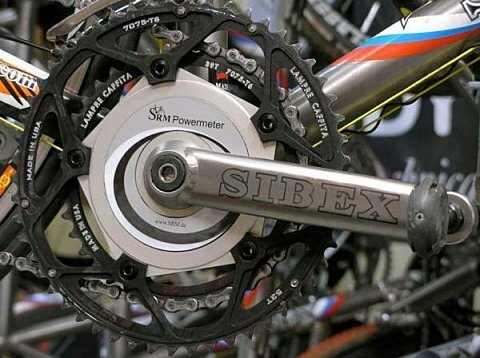 SIBEX announced a few days ago a new titanium crankset that is just 810gr, American Classic IBEX bottom bracket included. After testings, it is said that its accuracy is ±1%. Its price; 3500$ will calm down the most interested persons though.